“The Árni Magnússon Insitute for Icelandic Studies” (Stofnun Árna Magnússonar í íslenskum fræðum) in Reykjavík is named after the Icelandic scholar and famous collector of manuscripts Árni Magnússon (Arnas Magnæus, 1663–1730). At the age of 22, Árni started collecting old manuscripts and copies. His special interest lay in collecting and saving Icelandic manuscripts, making them available for research. Árni Magnússon left his collection to the University Library in Copenhagen. His collection, which numbers 3,000 items, is considered the most important collection of early Scandinavian manuscripts worldwide. It contains sources on the history and culture of medieval, Renaissance and early-modern Scandinavia and Europe. Between 1971 and 1997, around half of the manuscripts, manuscript fragments, old Icelandic public records and copies of them (a total of 7,324 documents) as well as 141 manuscripts from the Danish Royal Library were transferred back to Iceland. Remaining manuscripts, charters and transcripts are still in Copenhagen (“Den Arnamagnæanske Samling”). However, the Árni Magnússon Institute also hosts other manuscripts than those transferred from Denmark; numerous of them were donated from private collections, or with the support of benefactors, bought back from abroad. 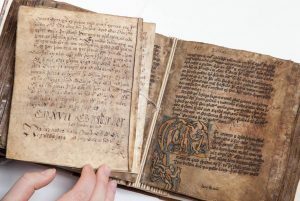 One of the big tasks of the Árni Magnússon Insitute is to preserve its precious manuscript collection for future generations. Signe Hjerrild Smedemark, the institute’s conservator, is taking care of this fascinating subject. I wanted to know, how conservators work and which tasks are more difficult to solve than others. 1. Why have you become a conservator? I am fascinated by the combination of science and old handicraft. When it comes to the latter, I even had excellent role models: my mother is a textile designer, my father teaches graphic printing and sculpture at Danebod Højskole (a Danish folk high school). However, I have always known I did not want to work with textiles or sculptures. Instead, old books and paper captured my imagination. Working with the preservation of old books is exactly the combination of science and “working with your own hands” I like best. 2. Medievalists are usually familiar with reading manuscripts and working in archives, but they hardly know how to conserve or even restore them. So what does your everyday work look like? There are two main fields of work concerning conservation, namely “active conservation”, and “preventive conservation”: I mainly work on “preventive conservation”: it is my task to deal with climate, air pollution, the handling of manuscripts, exhibitions, lighting and pests. Or to be more precise: I try to create an environment that prevents the manuscripts from deteriorating. For instance, I recently sewed pillows for book supports; these pillows can be used for displaying books at an exhibition or for using books in our reading room. The pillow assures that you will not open the books to 180° but to 90°. This way of handling limits the strain on the binding and the flexing of fragile pages. 3. What is especially interesting about your work at The Árni Magnússon Institute for Icelandic Studies in Reykjavík? The Árni Magnússon Institute hosts a very special kind of collection. Here, it is possible to learn much about the development of palaeography. I did not have the opportunity to deal with this subject at my former position in Copenhagen. Moreover, learning Icelandic is also a new and exciting challenge for me. And, finally, I am the only conservator here, so I have the full responsibility concerning conservation. This means I am more or less my own boss, which is a new but very positive experience. 4. In April 2016 you were on Icelandic TV. The broadcasting station RÚV 1 interviewed you about the condition of the Icelandic Manuscripts. In what condition are they? Part of the collection, that have been returned from Denmark from the 1970’s till 1997 is in a good condition. There are only minor damages like a single loose quire or minor tears. However, parts of the collection that have been acquired from 1997 onwards are in a less good condition, which means 60 to 80 manuscripts are in need of conservation. This is a small part of the total collection but the number of manuscripts and the extent of damage will take many years to conserve. 5. Why are they in this rather bad condition? Most of those books were given to us from people whose families had owned them throughout decades or even centuries. The books were kept in their private homes, where the climate was not suitable for storing them. Moreover, the manuscripts in need of conservation are mostly younger paper manuscripts from the 18th century onwards. The older manuscripts returned from Denmark are made from parchment or e.g. handmade rag-paper, both materials of very high quality. In contrast, the paper of the younger manuscripts is of poorer quality. 6. On TV you also mentioned the condition of the building at Árnagarður, where the manuscript collection is stored and where you work. 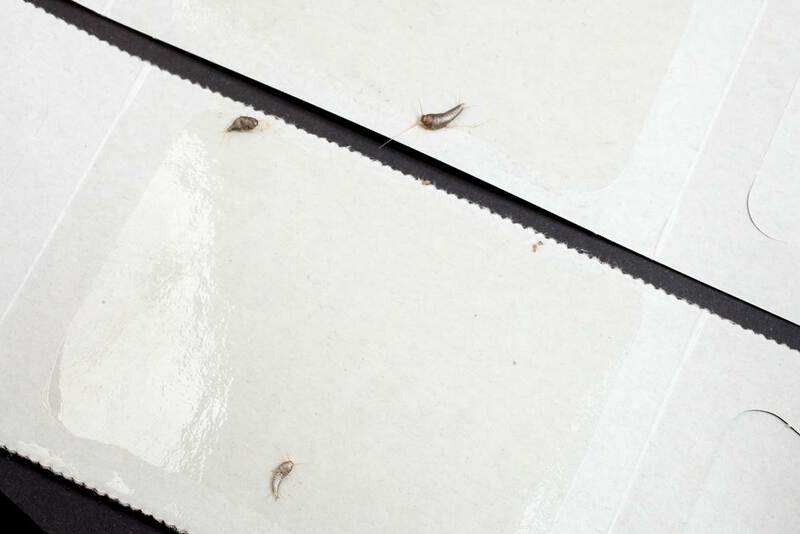 There are silverfish living in the basement of the institute. I try to prevent them from getting into the security storage. If they reached it, they would start eating manuscripts. Usually, you try to create an environment in which they cannot survive. However, due to the building’s construction, this is impossible. Because of that we definitely need the (already planned) new building for our manuscripts and a new library. 7. In order to save Iceland’s outstanding manuscripts, an association named „Vinafélag Stofnunar Árna Magnússonar í íslenskum fræðum“ (“Friends of The Árni Magnússon Institute for Icelandic Studies“) was recently founded. How does it work? Since its official opening in April, it is possible to become a member of the association. It is free to subscribe, but of course, we would like to collect money to be able to restore and conserve our manuscripts. 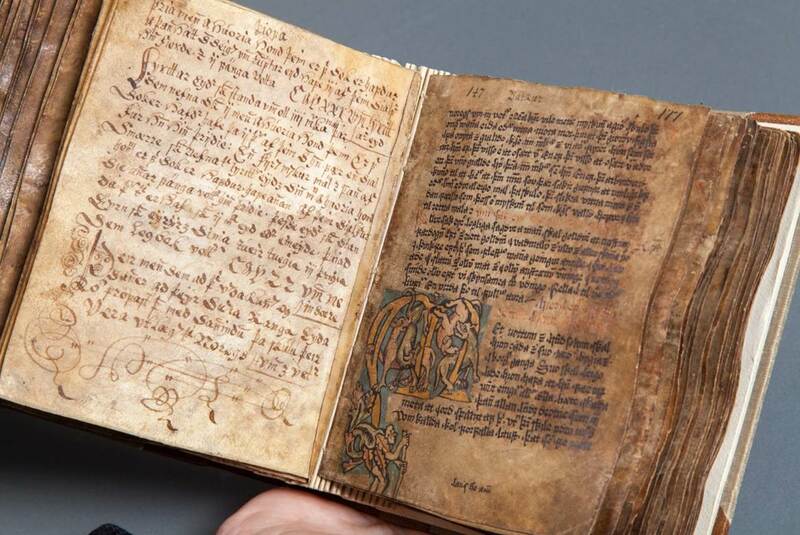 The “Friends’” first project is to gather money to ensure the conservation of Flateyjarbók [one of the most outstanding illuminated medieval composite manuscripts containing famous Icelandic sagas, Kings’ sagas and poetry]. The conservation already started in 2013. However, the manuscript is still not bound, which means nobody can work with it right now. In general, we need equipment for bookbinding and parchment conservation, all materials, which are rather expensive. In 2008, the Árni Magnússon Institute of Icelandic Studies in Reykjavík and the Arnamagnæan Institute in Copenhagen submitted a nomination of the Arnamagnæan Manuscript Collection to the UNESCO Memory of the World Register. The collection was recommended for inclusion one year later. Cf. Már Jónsson 2012: Arnas Magnæus Philologus (1663–1730) (The Viking Collection. Studies in Northern Civilization 20). Odense, p. 215; Jón Helgason (Kålund, Kristian) 1938: Magnússon, Árni. In: Povl Engelstoft (ed.) 1933–1944: Dansk Biografisk Leksikon. Second edition, 27 volumes. København. Here: vol. 15, pp. 230–4; Kuhn, Hans 1973: Árni Magnússon. In: Beck Heinrich/Herbert Jankuhn/Hans Kuhn/Kurt Ranke/Reinhard Wenskus/Heiko Steuer/Dieter Timpe/Dieter Geuenich (ed.) 1968–2008: Reallexikon der Germanischen Altertumskunde. Zweite, völlig neu bearbeitete und stark erweiterte Auflage, 37 volumes. Berlin/New York. Here: vol. 1, pp. 432–33. In the following cf. http://www.arnastofnun.is/page/handritasafn_en, last accessed: 28/6/2016. 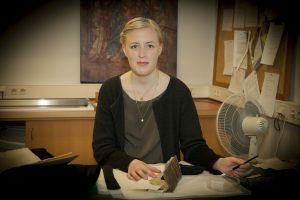 Anita Sauckel is a postdoctoral researcher at The Árni Magnússon Institute for Icelandic Studies and the University of Iceland Centre for Medieval Studies in Reykjavík. 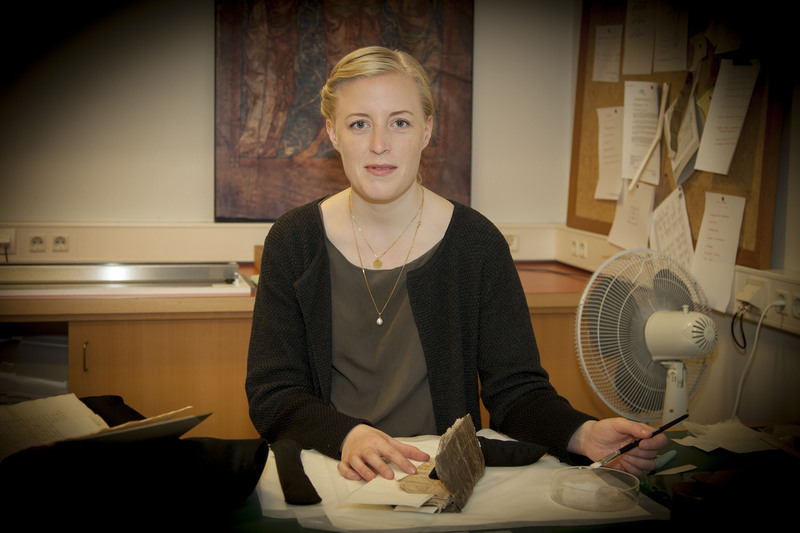 Her research interests include the Icelandic Sagas, Viking Age Archaeology, and the history of medieval Scandinavia.